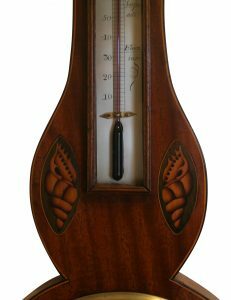 A Georgian mahogany two piece wheel barometer by A Ponti, Newcastle. At the top there is a broken arch pediment with a brass urn in the centre. 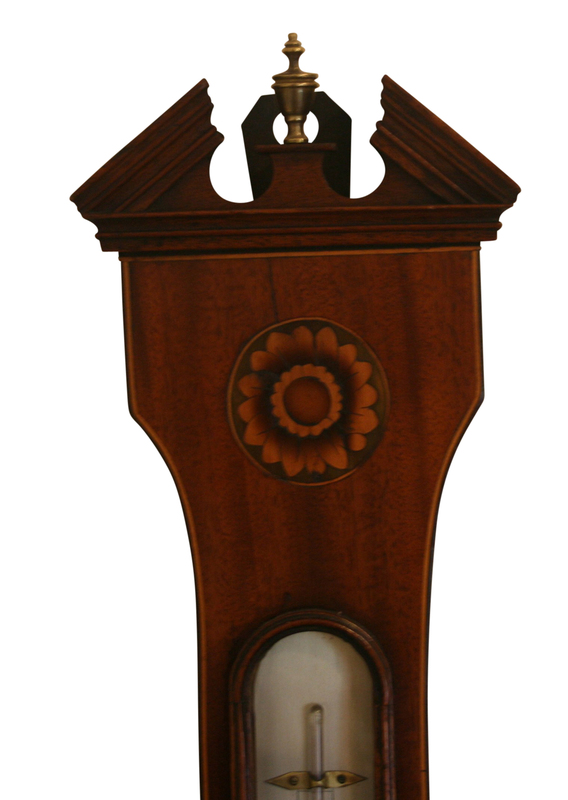 There are floral inlays to the top and bottom of the barometer and shell inlays to the sides. 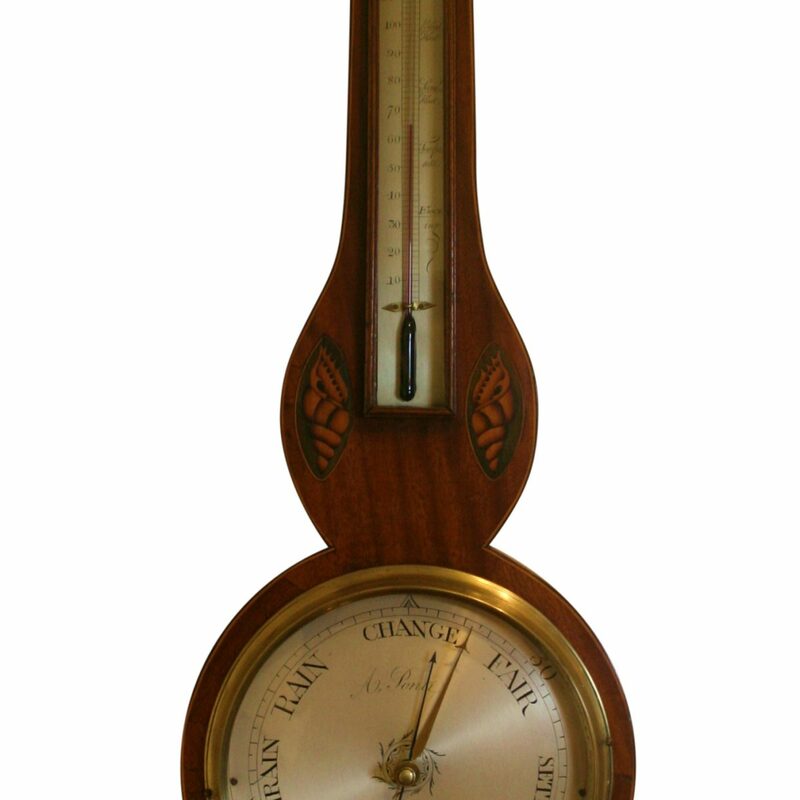 Above the mercury barometer dial there is a long alcohol thermometer tube.